From one of the most original new voices in modern fiction comes a startling vision of a world where nothing is so precious that it can’t be bought . . .
Theo Miller knows the value of human life – to the very last penny. Working in the Criminal Audit Office, he assesses each crime that crosses his desk and makes sure the correct debt to society is paid in full. But when his ex-lover is killed, it’s different. This is one death he can’t let become merely an entry on a balance sheet. 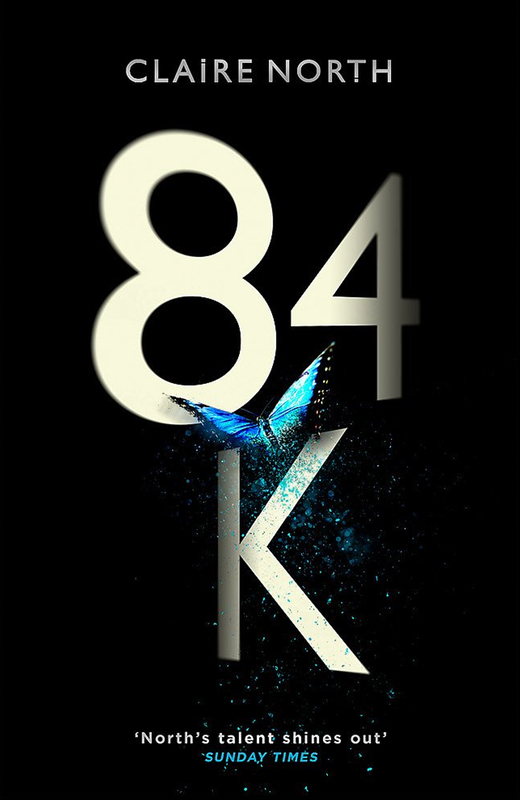 From the award-winning Claire North comes an utterly gripping, page-turning and thought-provoking new novel which will resonate with readers around the world. The country is in turmoil. With the capital city occupied, half a million refugees are on the march, looking for safety on the frontier, accompanied by Lady Flint’s soldiers. But escaping war is never easy, and soon the battle may find them, whether they are prepared or not. Back in the capital, Michel Bravis smuggles even more refugees out of the city. But internal forces are working against him. With enemies on all sides, Michael may be forced to find help with the very occupiers he’s trying to undermine. Meanwhile, Ben Styke is building his own army. He and his mad lancers are gathering every able body they can find and searching for an ancient artifact that may have the power to turn the tides of war in their favor. But what they find may not be what they’re looking for. 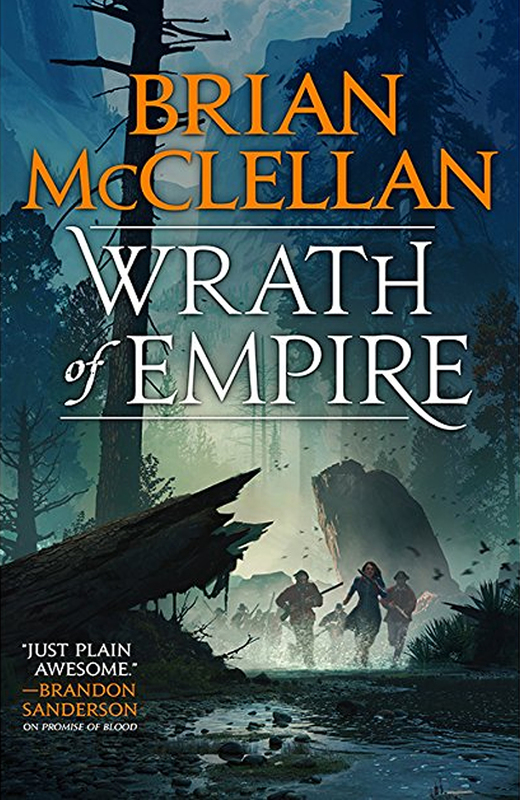 Magic and gunpowder collide in Wrath of Empire, the explosive second novel in the Gods of Blood and Powder series. 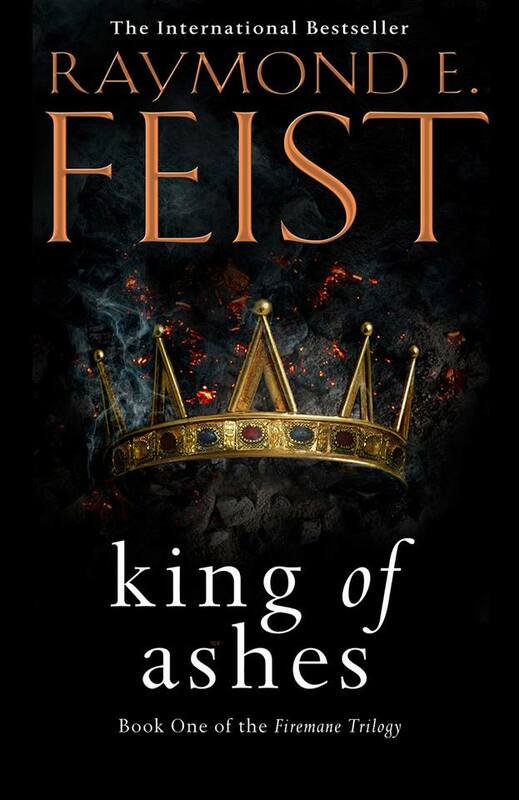 Second novel in the brilliant new series from the bestselling author of PRINCE OF THORNS. And in all this only one thing is certain. There will be blood. But when the three of them stumble across a tiny mechanical bird, magically brought to life, they quickly realise all is not as it appears. If someone can bring a bird to life, is there anything to stop these inventive Gitabrians creating a pack of mechanical dragons…? From the depths of myth an ancient enemy has returned: the Plague People, whose very presence obliterates whole villages; whose terror destroys minds. In their wake, nothing is left of the people, not their places, not their ways. On the plains, the warriors and the wise of all tribes gather to confront the aggressor. Loud Thunder leads his great war-host south, even as Tecumet and Asman head north with the Sun River army. With Maniye Many Tracks, they plan to forge a new unity between the tribes such as the world has never seen. But will it be enough to stave off an oblivion that might devour even their gods? Their adversary’s presence is like a wound in the world, and wakes all the old terrors and evils from the peoples’ stories. But before they can deal with the enemies without, they must conquer their demons within. 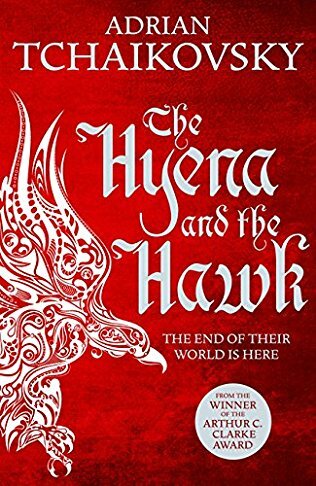 The Hyena and the Hawk is the third book in Adrian Tchaikovsky’s epic fantasy trilogy, Echoes of the Fall, following The Bear and the Serpent. The Ninth Rain has fallen. The Jure’lia are awake. Nothing can be the same again. Tormalin the Oathless and the fell-witch Noon have their work cut out rallying the first war-beasts to be born in Ebora for three centuries. But these are not the great winged warriors of old. Hatched too soon and with no memory of their past incarnations, these onetime defenders of Sarn can barely stop bickering, let alone face an ancient enemy who grow stronger each day. 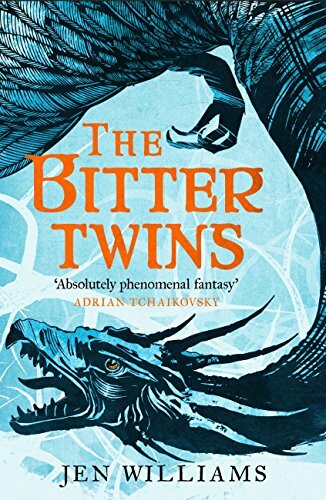 The key to uniting them, according to the scholar Vintage, may lie in a part of Sarn no one really believes exists – a distant island, mysteriously connected to the fate of two legendary Eborans who disappeared long ago. But finding it will mean a perilous journey in a time of war, while new monsters lie in wait for those left behind. Join the heroes of THE NINTH RAIN as they battle a terrible evil, the likes of which Sarn has never known. The world of Garn once boasted five great kingdoms, until the King of Ithrace was defeated and every member of his family executed by Lodavico, the ruthless King of Sandura, a man with ambitions to rule the world. Ithrace’s ruling family were the legendary Firemanes, and represented a great danger to the other kings. Now four great kingdoms remain, on the brink of war. But rumour has it that the newborn son of the last king of Ithrace survived, carried off during battle and sequestered by the Quelli Nacosti, a secret society whose members are trained to infiltrate and spy upon the rich and powerful throughout Garn. Terrified that this may be true, and that the child will grow to maturity with bloody revenge in his heart, the four kings have placed a huge bounty on the child’s head. 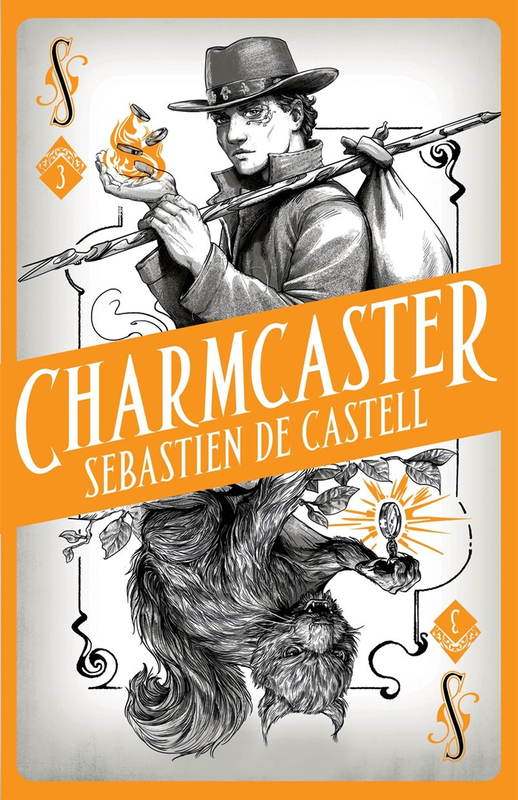 In the small village of Oncon, Declan is apprenticed to a master blacksmith, learning the secrets of producing the mythical king’s steel. Oncon is situated in the Covenant, a neutral region lying between two warring kingdoms. Since the Covenant was declared, the region has existed in peace, until violence explodes as slavers descend upon the village to capture young men to press as soldiers for Sandura. 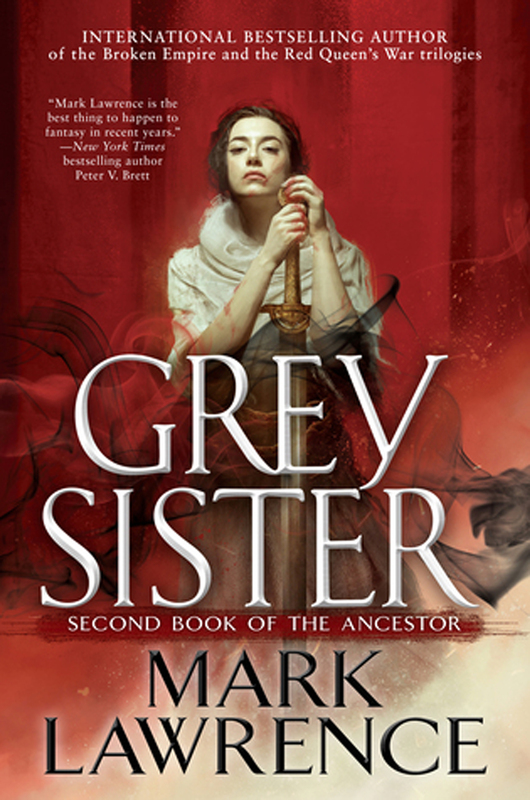 Declan must escape, to take his priceless knowledge to Baron Daylon Dumarch, ruler of Marquensas, perhaps the only man who can defeat Lodavico of Sandura, who has now allied himself with the fanatical Church of the One, which is marching across the continent, imposing its extreme form of religion upon the population and burning unbelievers as they go. From the creator of Black Mirror comes the first book in an anthology series featuring original stories from leading fiction writers, all set in the world of the cult series. 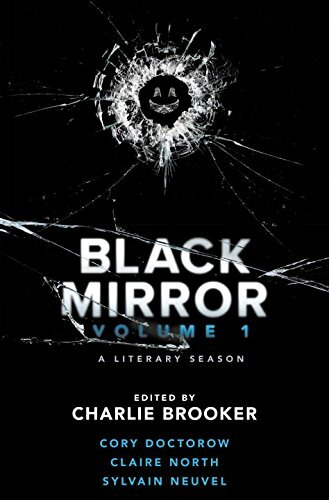 Edited by Charlie Brooker, the creator of the hit Netflix original series Black Mirror, this book takes the very essence of the globally acclaimed cult TV show to create new, original, darkly satirical stories that tap into our collective unease about the modern world. This is Black Mirror in book form, allowed to roam through the imaginations of some of the leading names in contemporary fiction. This collection will challenge you to see the world in a different—and more disturbing—light. You have been warned. . . . Welcome to Waiting on Wednesday, a weekly meme hosted by Breaking The Spine. A land under occupation. A legendary sword. A young man’s journey to find his destiny. But what lies beyond the prison walls is more terrifying still. Rescued by a man who hates him yet is oath-bound to protect him, pursued by inhuman forces, Aren slowly accepts that everything he knew about his world was a lie. The rules are not there to protect him, or his people, but to enslave them. A revolution is brewing, and Aren is being drawn into it, whether he likes it or not. The key to the revolution is the Ember Blade. The sword of kings, the Excalibur of his people. 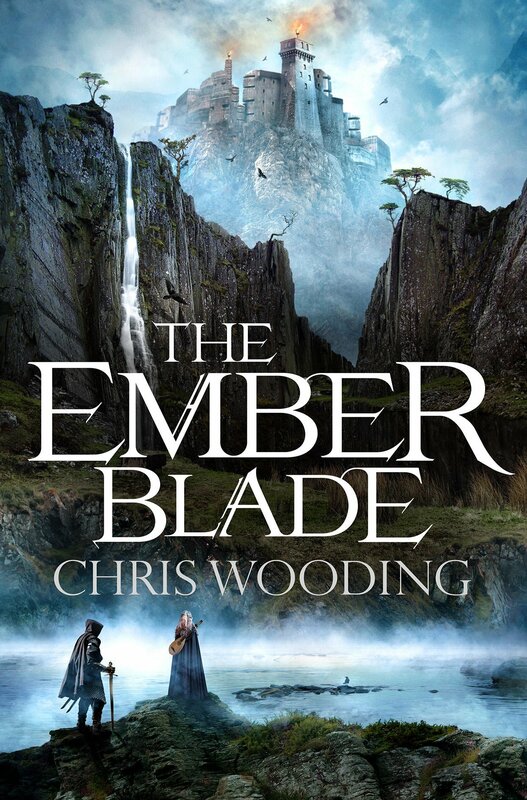 Only with the Ember Blade in hand can their people be inspired to rise up . . . but it’s locked in an impenetrable vault in the most heavily guarded fortress in the land.